This salad has flavors of the tropic’s, as it contains mango, avocado, and coconut sugar. It is a quick and easy recipe to prepare. Did you know that mangoes are eaten fresh more than any other fruit in the world? 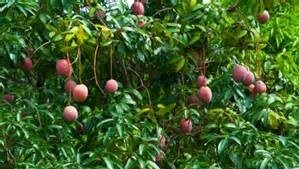 The mango has been around for some 4,000 years now, and it is biologically a close relative with other flowering plants like the cashew and pistachio trees. The mango trees originated in sub-Himalayan plains, and there are over 1,000 different varieties, with the Hayden being the most popular. 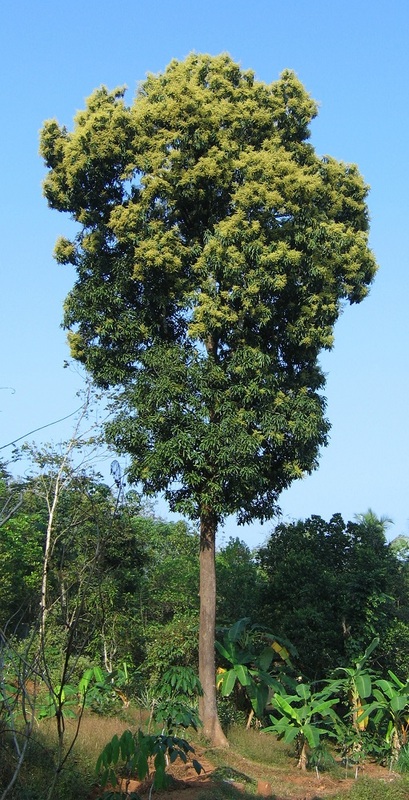 Mango trees grow up to 115–131 feet tall, with a crown radius of 33 feet. The trees live a long time, as some specimens still fruit after 300 years. Though not a related tree spices, avocado trees can grow just as tall. 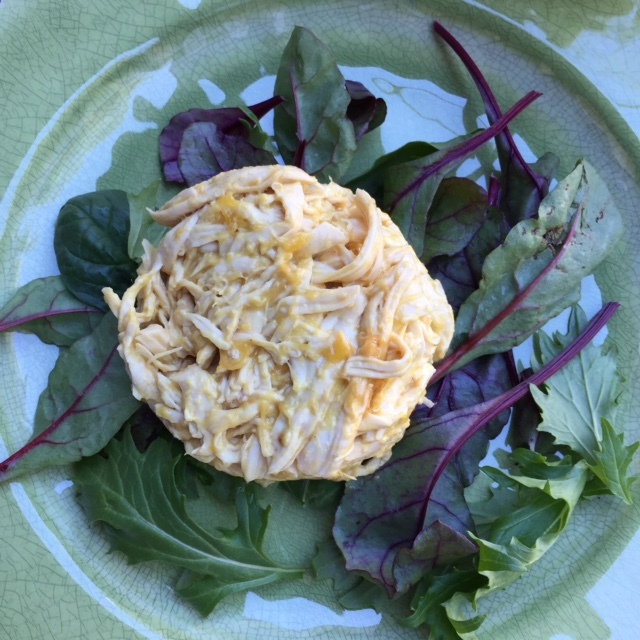 When preparing this recipe, it reminded me of our visited to the south of Mexico were the mango trees grow profusely. We seen young children throwing rocks up into the trees to bring down a mango. Yes, they threw a rock up 115 to 133 feet, and never missed to bring down a ripe fresh mango. Preparation is for two servings. 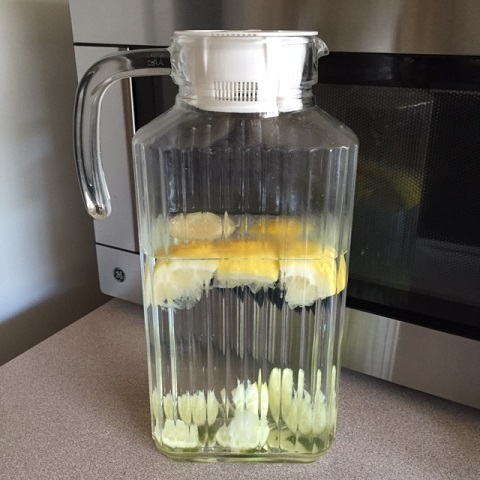 Unless you have another use for the other half of the citrus half’s, and including the juiced half’s, you can either freeze the juiced rinds and save for zest in another recipe, or slice them up for lemon-lime water. 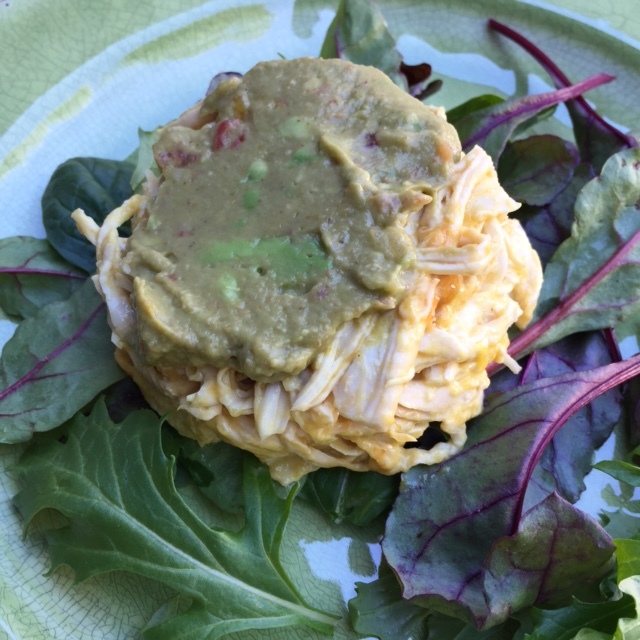 Now that you have your chicken mixture and guacamole prepared, let’s start to plate it. 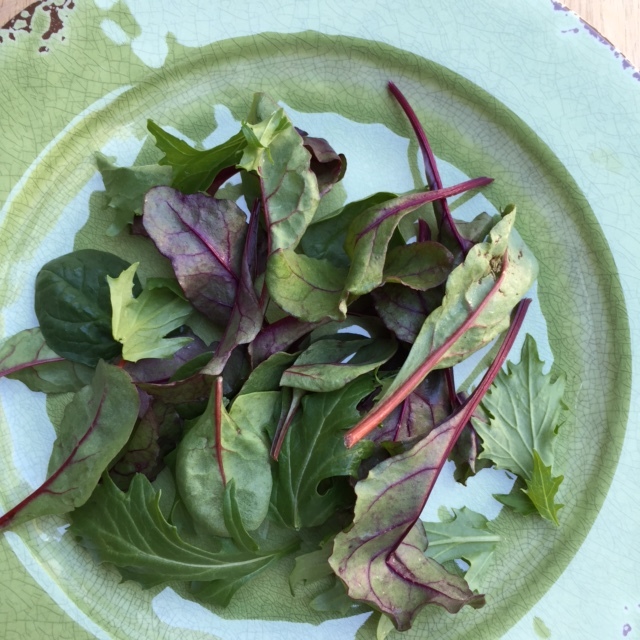 Add a mixed few hand fulls of baby greens, like spinach, chard, beet greens, and arugula. Next, using a 5 inch in diameter ramekin, fill chicken mixer to the top, and invert it over the baby greens. 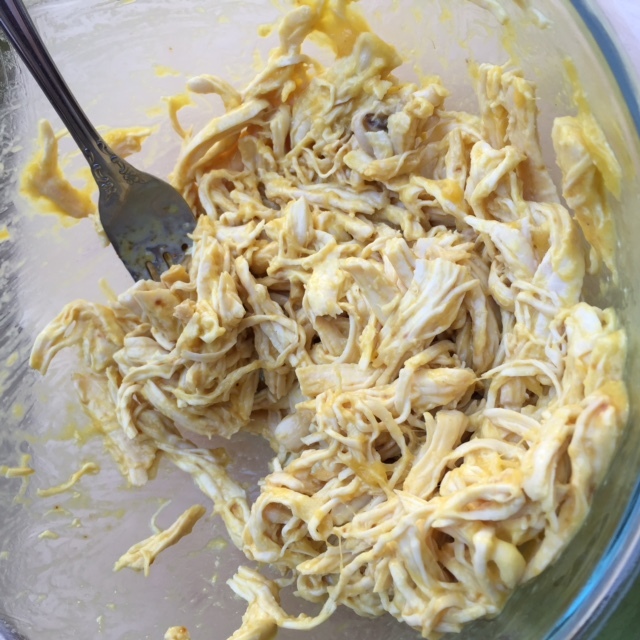 Next, spread some guacamole carefully over the chicken mixture, and enjoy. 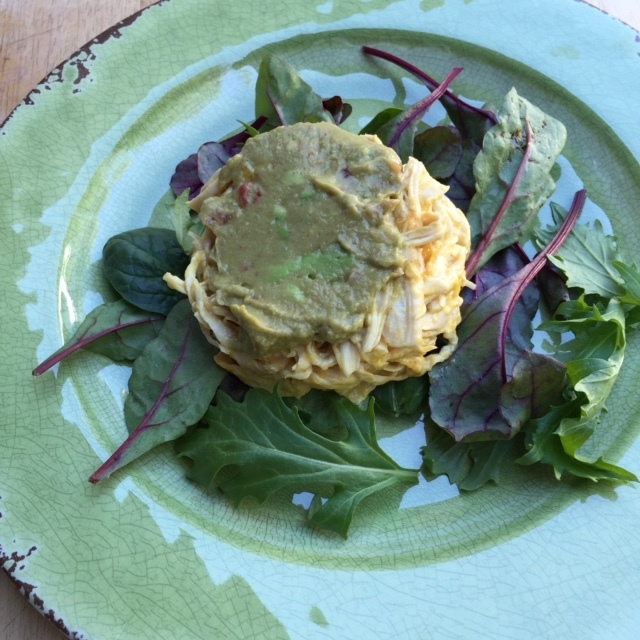 This entry was posted in Chicken, Soups and Salads and tagged Avocado, beet greens, Chef, Chicken salad, French onion soup, Guacamole, Jalapeño, Lemon, Lime (fruit), Mango trees, Mexican cuisine, Mexico, pepper corns, Red onion. Bookmark the permalink.